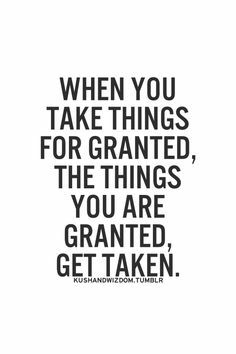 At age 67, I like to think that there is nothing I take for granted. I certainly do not take the people in my life, whom I love dearly, for granted. But as I get older, I have realized that there are certain things about my body that I haven’t given much thought to over the years, that are now showing signs of wear and tear, and sometimes they fail me. I think if you have never had physical challenges, you do tend to take the normal functioning of your body a bit for granted, and I believe I have. In some instances, I have had strong reminders that my physical self is not what it use to be, and these have not been ignored. There are some things I can no longer do the way I used to do them, and I believe I honor those changes. Recently, I have been having trouble with my knees and hamstrings, and last night I fell outside and really injured my left knee – the one that has really been giving me trouble. The fall knocked the wind out of me, and I scared both myself and Kimmie. I felt light-headed for several minutes, as well as a lot of pain. Kimm told me to apply some of doTerra Essential Oils to the area which I did, and she rubbed my shoulders, which were hurting badly as I broke my fall with my upper body. This morning I am happy to say my shoulders are fine, but my left hamstrings hurt like hell and it is very hard to get up from down, and to walk normally. I have been icing the back of my knee, as well as using the oils. But what the fall really did for me, the lesson I am being taught by it, is that I took my body for granted. I often do things without thinking, just on impulse, and it is repeatedly getting me into trouble lately. I worry Kimm, which is the last thing I want, and I cause myself unnecessary pain and injury. At my age, which nowadays is not that old, most people have to do some reassessing of their minds and bodies, adapt to new limitations, and come to terms with the aging process. So far it has been pretty easy for me, as I see this as just another stage of life to embrace and grow in. In most ways this is the happiest stage of my life and my gratitude runs very deep. But the fall last night reminded me that I am not as steady on my feet as I once was, and I need to take care when I move around. It reminded me that nothing stays the same, and I am going through some very heady changes that need to be heeded. Though I have never thought so, there is a part of me, that is a bit resistant to all these changes. I always believed I have gone with the flow, but now I see I haven’t. I have taken my body for granted at the worst time in life. Kimm and I are partners in this website and in our writing. Emotionally and spiritually, we are soul sisters and our bond is so strong. But she is 20 years my junior, and she can use her body in ways I can no longer do. The truth here is that I do not have to keep up with her, that I can honor my own pace and capacities and still enjoy the equanimity in our relationship. She expects no more or less of me than that. That is one of the things I love most about her. My fall last night has shown me that if I take anything for granted, I run the risk of losing it. I have lost a bit of mobility, temporarily hopefully, because I thought I would always have it and wasn’t accepting my physical transformation. But if I continue to see it as a transformation, I will be better able to embrace the changes, accept them as a part of who I am becoming. If I can do that…it is always going to be all good. Next Post Podcast: Why the Bleep Don’t These Bleepin’ Affirmations Work? !